Roya, the poetic Persian name of a little girl, means an ominous dream, a mind trip, a fantasy. Such was the vision lead singer Rahill Jamalifard (of Habibi fame) first had when hatching the idea for the band. A moody and seductive tone set against a primitive and surreal soundscape. Lending its voice to somber echoes and jangles of post punk and psychedelia. How often we wander to the uncomfortable depths of our darker minds, where unanswered questions live, where they stay carefully tucked away, still existing, unaddressed. In Roya, the exploration begins, confronting the fears and realities we struggle with. The mediocrity of life, complacency, death and its undoing’s, life and its great fragility, Roya invades the minds and hearts of its listeners greeting them with unwavering emotion. 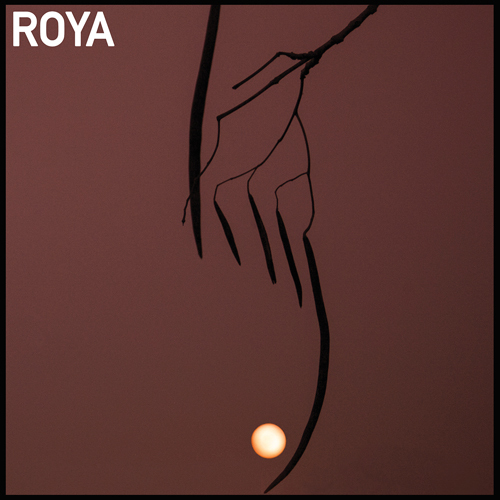 The bands early formation consisting of singer Rahill Jamalifard, guitarist Jay Heislemann (Grooms) and drummer Hamish Kilgour (The Clean) set the foundation for Roya’s deliberately minimal sound. Kilgour, notable as a founding member of New Zealand’s seminal post punk band The Clean, plays shambolic and primitive driving drumbeats that add layers of depth and texture to his boldness. Heislmann’s guitar spills over Kilgour's rhythmic web with deconstructed eastern surf riffs dripping wet with noisy undertones. This melodically demented outfit cradle Jamalifard’s stark and naked vocals that paint over each chorus with grief-stricken and doleful lyrics that are raw but gentle in delivery. Joined later by contributing song-writer and guitarist Christian Sawyer, whose presence was brief but significant, the band began to record their self titled debut record at the now defunct Death By Audio recording studio. Joining them during this time was bassist Alix Brown, whose spirited gusto added attitude and swagger with her driving grooves. In its current formation Roya is a five-piece ensemble with Tyler Love on rhythm guitar and mellotron and Lyla Vander on drums. Their debut record is set to be released June 02, 2017 via Burger Records.